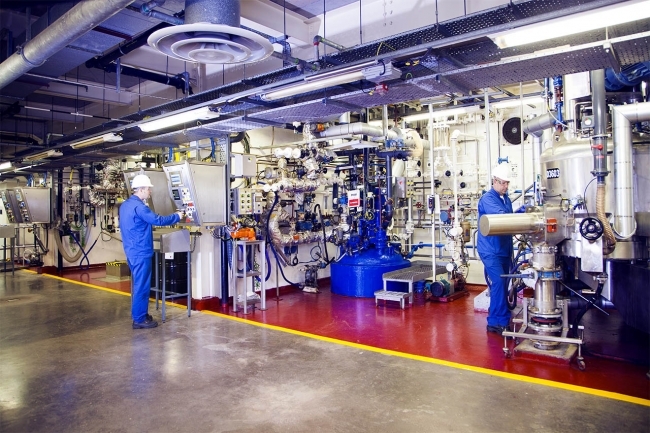 Contract development and manufacturing organisation, Sterling Pharma Solutions is investing £6m into its pilot plant facility at its UK site to enhance its scale-up and small to midscale commercial API manufacturing capabilities. The expansion will increase the pilot plant’s capacity by 33% and enhance the site’s production capabilities and flexibility for small to mid-scale batch production. The investment will add three new reactor trains at scales of 225L, 500L and 1,360L to the cGMP facility. This will help to meet growing market demand for API batch sizes in the 10-100kg range and will complement the CDMO’s API full service offering and current scale-up capabilities from grams to tonnes. As part of the investment the 40-acre site in Dudley, will also add a range of new capabilities to expand the ability to handle potent compounds across a range of equipment scales. Kevin Cook, CEO at Sterling Pharma Solutions said: “Over the last decade API manufacture has steadily started to move back to the west, as customers begin to look for partners who can offer reliability, high quality and the ability to handle increasingly complex products. The expansion follows an investment in 2017 into the site’s milling, micronisation and solid form facility. Both investments form part of a strategic development plan totalling almost £12m. The facilities are expected to be operational by mid-2018. Established in 1969, Sterling’s site has a strong heritage in API services and a successful track record of compliance with both the MHRA and FDA. The company, which specialises in handling hazardous products, is now the UK’s largest provider of API development and manufacturing services to the pharmaceutical industry. The CDMO also has an extensive technology and innovation strategy designed to find ways to integrate the latest technologies into its operations.